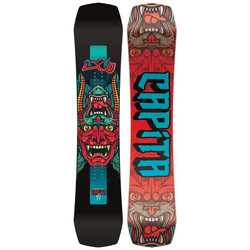 An outstanding snowboard will match both the style of riding and the terrain. Some boards are designed to float playfully through powder, while others are designed for maximum speed and aggressiveness. There are boards designed specifically for the park, while more versatile options work well all over the mountain. 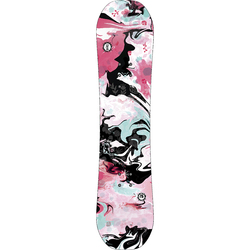 The perfect board for a child will depend on the type of riding, skill level and size. State-of-the-art materials are lightweight and manageable for little riders. 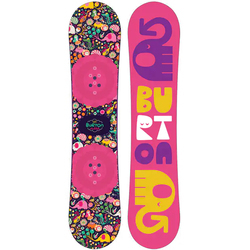 Snowboards also come in a profusion of graphic prints and color options, including numerous multicolor combinations, brand name decals and other artwork. 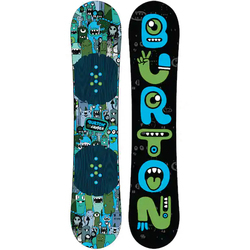 Phenomenal brands for kids include K2 Snowboards, Burton Snowboards, Lib Technologies and Capital Snowboards.